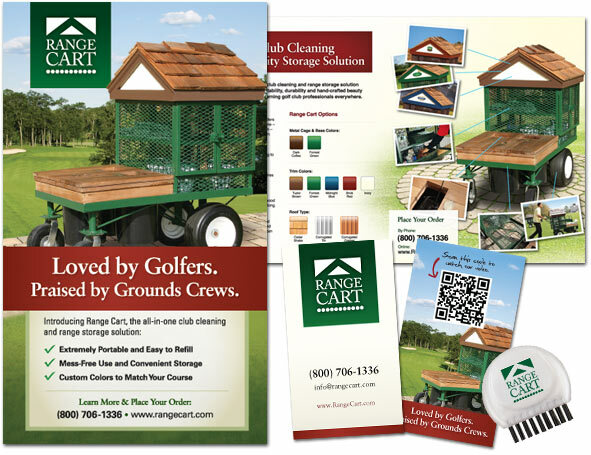 After a short demo of the product – an attractive club cleaning and storage solution designed for golf ranges named Range Cart – the Ridge team kicked into high gear fleshing out the product's selling points in time to shoot a video before the weather turned ugly. A surprise pre-Halloween snowstorm complicated matters, but the video came off without a hitch. Click below to see how it came out. After the video shoot, the NJ graphic design team at Ridge collaborated on a logo. The final selection is a classic mark that incorporates the product’s roofline into its form. Then it was on to producing tradeshow collateral – brochures, booth layouts, banner stands, giveaways, business cards and more. 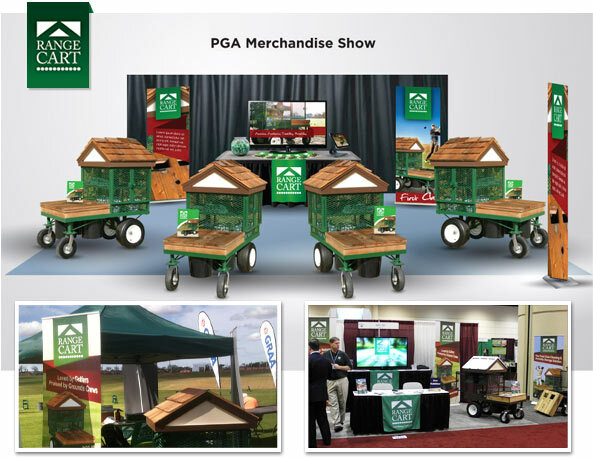 While all this was going on, Ridge PR handled logistics for exhibiting the product at the PGA Merchandise Show (Orlando) and Golf Industry Show (Las Vegas), as well as press releases and trade magazine advertising. The final step was the completion of the Range Cart website, which incorporates a product builder and online ordering system. Finally, it was off to Orlando to set up at the PGA Show and help work the floor. In the end, our small, dedicated team was able to bring a new product to market from scratch in less than fourth months! It was a fun, exhausting and fulfilling, and we look forward to continuing our support of Range Cart this year.